Relax. We're on our way. "I have used Master Movers for several local moves in Nashville. I used Master Movers for the first time in 2004 and have never been disappointed. I have a baby grand piano and they've never had any problems moving it or anything else. I refer them to anyone I know moving in Nashville. Thanks guys." "I found my new moving company, the Men at Master Movers went way beyond the call of duty in trying to figure out how to get my too big entertainment center out of the bonus room. They got it done and it's still in one piece, very impressive. The men were very professional and trained in how to do their job. Thanks." "Jennifer, I appreciate all the help you were in scheduling my move. The movers showed up and got right to work. We are all settled in the new house now, nothing got damaged and the guys were on time. I will definitely use Master Movers if I ever need to move again." "Master Movers just completed a very big commercial project for us which included complete removal of cubicles and assembly and installation of new cubicles. The movers were well trained, showed up each day on time and completed the job ahead of schedule. Our new office set up looks great and it was a pleasure working with this crew!" "I just had the most amazing experience with this company. We had a POD that was very poorly packed and we had more items that needed to be loaded. They sent two men who arrived on time and were incredibly pleasant. They unloaded the mess we had and repacked everything in much less time than I expected. More importantly, is the packing job was like a work of art! We were so pleased. I will definitely use them in the future. Thanks!" Locally owned, we take care of all your residential moving needs! Let our family move yours. Commercial moving takes careful planning. Let our experienced team help you navigate your office move. Moving supplies are not all created equal. At Master Movers we only use the best. We have Picture boxes, shrink wrap, made to fit boxes and more. 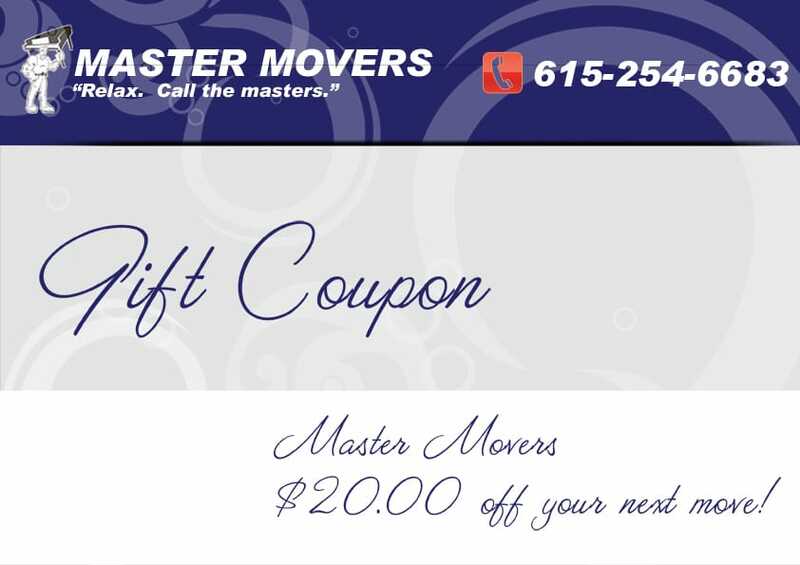 Since the Spring of 2000, Master Movers has been providing the most reliable moving services in Nashville. We are your Nashville Moving Company. Master Movers has been a highly successful local moving business for 18 years. Thanks to word-of-mouth and loyal customers, we now have more than 10,000 clients each year. People are raving about us online! Why? Because at Master Movers we really do care, we do what we say, and we don’t overcharge. 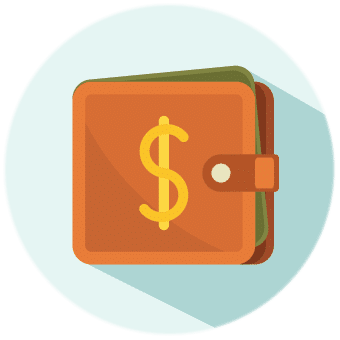 Our goal is to save you time, money and relief from the stress that moving days often bring. The well trained staff at Master Movers is polite, punctual and professional, providing you with top notch residential and commercial moving services for all your moving needs in the greater Nashville area. While other Nashville Moving Companies hire temporary staff when needed, our reliable and trained movers work for Master Movers full time. Our reputation in Nashville for the best moving services and our impressive list of moving clients speaks for itself. 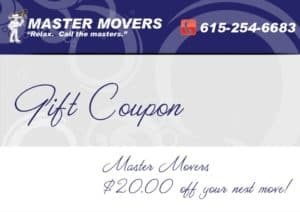 $20.00 Off Your Next Move!